The great people of Annapolis don’t have to worry about man-made flooding issues, or even natural ones because our experts with 911 Restoration Baltimore are here and available 24/7/365 to take on any challenge for the people. One of the reasons that our water damage Annapolis specialists are so highly regarded in the business is because we know that water and the damage it causes moves quickly. In response to this, we will arrive within 45 minutes of your call to start providing immediate assistance from your water woes. Our guys are fast because we can’t stand the idea of a homeowner in trouble. We always make sure to put the customer first in these situations no matter what. Our water damage Annapolis technicians are highly trained and IICRC certified to provide the utmost level of care to your home or business no matter when your trouble starts. A water damage situation can range in scope from a simple toilet overflow to a local area flood that soaks your entire home. This variability is why it’s best to have a preparedness plan in place for any kind of water damage trouble. One of the best ways to be ready for any disaster is to have 911 Restoration Baltimore on your side. Our expert staff know water damage better than anyone, and this is why you can trust her to bring your home back to normal in no time. Give our water damage Annapolis professionals with 911 Restoration Baltimore a call and let them help you with everything from a pipe burst to a major flood today! Our water damage Annapolis specialists know the eccentricities of this powerful force of nature better than anyone, which gives them the ability to provide not only five-star service to home and business owners everywhere, but also tips and tricks for avoiding trouble in the first place. Folks should make sure to clean out the junk in their gutters before winter strikes. This helps to keep the debris from piling up and allowing for overflows and ice dams which can soak the inside of your home when the roofing layers are damaged as a result. Additionally people need to make sure that they don’t let the air temperature dip below freezing at all in their homes. This method protects pipes from bursting and causing water damage in massive quantities. I always tell people to make sure that their sump pumps are working before a major storm comes through. This can save a house from water damage in a big way because it’s the home’s first line of defense against flooding. April and her teams have taken on and solved every kind of water damage event there is in this business and this is why they know all the best ways to prevent trouble from ever starting. We take pride in our ability to provide homeowners with the best care we can, and sometimes that means giving them the information they need to keep a situation like this from ever coming up. Don’t let your home be overrun with flood waters from any source without getting help from the best. 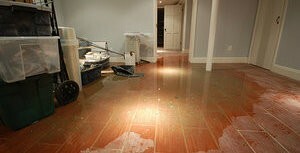 Contact our water damage Annapolis team with 911 Restoration Baltimore for immediate relief today! Our teams get calls at all hours of the day and night for their services, and this is because they are trusted above all for the excellent quality of work that they provide structures in need, but it’s also because of their ability to provide for people in need too. We make sure that our customers are well looked after throughout the entire restoration process. Our crews will even provide this extra attention when they get your emergency call in the wee hours of the morning too. They will arrive quickly and start the healing process for your home no matter when or where your problem springs up, or how big the issue is too. There is no job too big, or too small that we won’t take it on for the amazing people of Annapolis and their lovely homes. We care about people, and even if they have a simple toilet overflow, we want to be there to make sure it is taken care of properly for them. Giving water damage any time to linger will only make it cost more and be harder to repair. If your home is amid a water damage Annapolis incident at present and you need the best in the industry, then contact our water damage Annapolis team with 911 Restoration Baltimore today, and let them solve everything on your behalf!